A few days ago, SouthComm, which owns the Nashville Scene, The City Paper, the Nashville Post, and other publications, announced The City Paper—after a proud, nearly-thirteen-year run—finally was folding. I’m guessing most people in the city felt as I did when they heard the news: sad but not surprised. The paper–which recently had slipped to a rather tawdry-looking news-print presentation—seemed to have lost its focus. The fundamental question, “What IS The City Paper?” seemed more and more difficult to answer—even for those of us with great affection for it. It became increasingly difficult to perceive what its mission was vis a vis The Tennessean and the Nashville Scene. Some day someone should write a history of all the alternative publications that have sprung up and then died in our fair city. It would be a story of passion and honor and commitment to journalism and the arts that would stir the mind and warm the heart. And it would feature a lot of heroes. 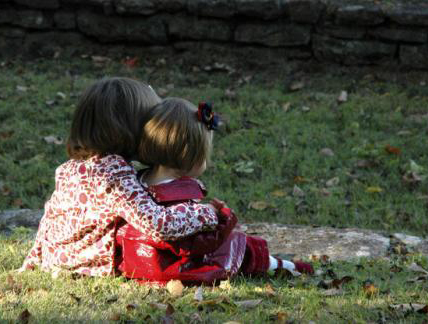 UNDERGROUND NASHVILLE: You were initially connected to Children’s Attention Home through a friend in North Carolina. How did your two songs come to be used in their “A Second Chance” fundraising video? SHANTELL OGDEN: Rick Doody, my friend, does a lot of volunteer work with CAH and he was recording and producing a video to share their mission. We were talking one day about the music for it, and I mentioned I had songs that I thought would fit the theme of the project; I sent him the songs and they ended up being just what he was looking for. UN: Were the songs written specifically to help CAH, or were they previously-written songs that were well-suited to the purpose? SO: These songs were actually written and recorded for other projects, and it’s interesting how songs find new and unexpected purposes over time. “A Second Chance” was written for an indie film project originally, but it didn’t make it into the movie. Looking back, I think the movie was just the initial reason I wrote the song, but the purpose for it was always to be part of the CAH video. It had a home in mind, but that home just took a couple of years to be built. UN: Why do you feel so strongly about helping this particular organization? SO: I think that music is a gift and it’s my job as a writer to make a difference with it, as well as make a living. I was blessed to visit CAH in person recently and I was really touched by the work that the team is doing there to help kids who are coming from really painful and difficult circumstances. I’m honored that my music can be a small part of their mission, because they truly are changing the world for the children they help. A new monthly luncheon series, sponsored by Indie Connect and whose goal is “to unite and improve the Nashville music industry,” will launch on Thursday, July 25 at 11:30 a.m. at Belcourt Taps. According to event founder and Indie Connect CEO Vinny Ribas, the new series of monthly luncheons is “an effort to bring together people from all areas and levels of the Nashville music industry.” Each event will feature structured networking followed by a speaker or panel of speakers addressing topics of interest to the music community. * To work to develop solutions to local and global challenges facing the industry. The cost of the July 25 luncheon is $20 for those who register on or before July 21; $25 after that and at the door. The price includes a buffet luncheon. The luncheons will always be held the last Thursday of the month. 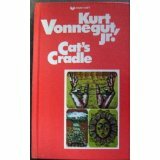 Editor’s Note: Published in 1963, Kurt Vonnegut’s Cat’s Cradle is a powerful, satirical indictment of the Vietnam war, of wars in general, and of the nuclear arms race. In the following review, Roy E. Perry—who wrote book reviews for The Tennessean and Nashville Banner for 30 years—continues our effort against the devaluing of literature in America, and our special mid-July showcase of literary works you may want to explore. The unnamed narrator of Cat’s Cradle sets out to write a book entitled The Day the World Ended, in which he plans to chronicle the life and work of Dr. Felix Hoenikker, one of the inventors of the atomic bomb. Hoenikker has created an even more deadly device, ice-nine, which can transform all the world’s water—its wells, ponds, lakes, rivers, and oceans—into solid ice, an apocalypse of chilling proportions. Shortly before Hoenikker’s death, the (mad?) doctor gives vials of ice-nine to his three children. The fate of the Earth trembles in the (necessary) balance of good and evil. Vonnegut once graded his own novels. He stated that “the grades do not place me in literary history” and that he was comparing “myself with myself.” He gave an A-plus to only two of them: Slaughterhouse Five and Cat’s Cradle. Cat’s Cradle is a sad and disturbing book, but the A-plus rating is not exaggerated. T. R. Pearson’s A Short History of a Small Place is set in the fictional town of Neely, North Carolina, where many of its inhabitants go “from reasonably normal to unquestionably insane without ever pausing at peculiar . . . . The whole of the state was warned against long stopovers in Neely since life tended to ‘bore folks to distraction. '” The novel, however, is anything but boring. Many of the Neelyites actually do pause at peculiar, including Miss Myra Angelique Pettigrew, a recluse who finally commits suicide by jumping off the town’s water tower, and a mischievous chimpanzee dressed in a blue blazer, a porkpie hat, a plaid sportcoat, and black Keds sneakers. The only clothing he didn’t wear was pants, so naturally he was called “Mr. Britches.” Folks came from miles around to admire (at least for a while) “the monkey” as he scurried up a flagpole and turned his lips inside out at the crowd. The novel features numerous tall tales typical of Southern oral history: the paintbrush imbroglio, the great pigeon fiasco, the soured milk scandal, the toilet seat dilemma, the monkey’s urination inundation, the duck imbroglio, and the Bridget mishap (the latter describing a defunct guinea pig occupying the coffin of the defunct Miss Myra Angelique Pettigrew). Fervent prayers had been offered up to the Almighty for the ailing guinea pig, but alas, their invocations were sadly unavailing. I give four stars to A Short History of a Small Place (1985), the first novel published by T. R. Pearson, when he was 29 years old. This pastiche of short stories loosely joined together bears the marks of an amateur writer. But not to worry! The novel is side-splittingly hilarious; the funniest, most entertaining and enjoyable novel I’ve read since Starbuck O’Dwyer’s Red Meat Cures Cancer. The author admirably records the “voice,” “view,” and “atmosphere” of a small Southern town—the antics and high jinks of its quirky, gossipy, and litigious characters. ABOUT THE AUTHOR: T[homas] R[eid] Pearson is the author of a baker’s dozen novels. He was born in Winston-Salem, North Carolina in 1956, and now lives in Virginia. Critics compare him to Lee Smith, William Faulkner, and Mark Twain. Editor’s Note: In a culture that more and more devalues literature, Underground Nashville is, in some small way, trying to resist the tide. One way we do that is by featuring the book reviews of Roy E. Perry, as a means of directing you toward enriching, insightful books. 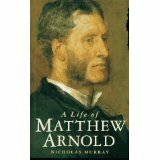 In the following review, Mr. Perry—who wrote book reviews for The Tennessean and Nashville Banner for 30 years—reviews the new biography of 19TH century English poet Matthew Arnold. Indeed, the biography is divided into two main parts: “The Making of the Poet” and “The Triumph of the Critic.” According to Murray, the critic in Arnold “triumphed” over the poet because, as Arnold perfected his prose, his poetic muse slowly departed from him. Matthew Arnold’s most famous and best-loved poem is “Dover Beach.” His other poetry includes “The Scholar Gypsy,” “The Forsaken Merman,” and “Empedocles on [Mount] Etna.” His best poems are still anthologized today. An accomplished ironist, Arnold was a major critic—of literature, life, religion, culture, and politics. His major works of criticism, Essays in Criticism and Culture and Anarchy are still studied in academia today. Arnold was not without his critics. Fellow poet T. S. Eliot debunked Arnold’s liberal humanism as “an unwillingness to submit to orthodoxy in politics and religion.” A lifelong admirer of Swift and Voltaire, Arnold was a robust skeptic. He also was deeply influenced by the pantheistic philosopher Spinoza: “To him I owe more than I can say,” Arnold said. One thing that always fascinates me is to hear what particular artist or record my friends and readers currently are into. Since I share the belief (with many) that older pop, rock, and country music is generally superior to today’s versions, I have no problem with a friend telling me she or he now is listening to so-n-so from the ‘70s or hoozy-wits from the ‘90s. In fact, it strikes me as more interesting, because I love the whole notion of artists being re-discovered by individuals or generations years after their creative time. There’s something very affirming and redeeming about that. Since you forgot to ask <smirk>, I’ll share with you two albums I’ve listened to endlessly recently, one of which is 17 years old, the other nearly twice that. The Bee Gees’ Still Waters sounds like how Justin Timberlake would sound if Timberlake could write good songs (the essential missing element in most of today’s pop/rock). 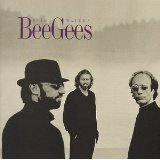 Proving they never lost their gift for writing great melodies and hooks (in a career that spanned three times longer than that of the Beatles), the Bee Gees here reveal a true and respectful ear for the sonic landscape of the late 1990s, while still delivering an album that—in all its electric melodic and harmonic sense—is still pure Bee Gees. No mean feat. 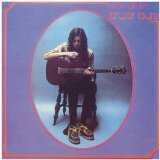 Featuring several of Nick Drake’s most compelling and enduring songs (“Northern Sky,” “Fly,” “Chime of a City Clock,”) Bryter Layter is the only album ever recorded by Nick (of the three he made) featuring full-band production, i.e., bass, drums, etc. Recorded while Drake was just 22, it nevertheless has a fully-realized artistic feel to it, an urban-dream-like quality founded on Nick’s virtuoso acoustic guitar playing and impressionistic, lonely, opaque lyrics. Sadly, it was after the initial commercial failure of this album that, as one reviewer put it, “the shadows began closing in” for Nick Drake. Within four years, at age just 26, he was dead. It’s a pity he wasn’t around to see the world affirm what a stunning musical contribution he’d made. Editor’s Note: What record or artist are YOU listening to now? Why? 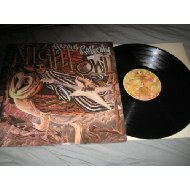 Using the “Comment” option below, send the name of the record, along with a few words about why you love it. Your response will be used in a future post in Underground Nashville. Our friends at Indie Connect are at it again! Fresh from the success of February’s revolutionary “Indie Connect Virtual Music Conference and Expo,” the musicians-empowerment organization now plans to hold the first-ever “IC Virtual Songwriter Showcase,” an online-music industry gathering, on Saturday and Sunday, September 21 and 22. The two-day online event will give “entry-level” and established tunesmiths the opportunity to pitch original songs to music publishers, film and TV music supervisors, producers, and artists. Attendees also can receive song evaluations by professionals, and view live and taped educational presentations covering a wide range of music-related topics. A trade show will feature booths by leading music-industry product and service providers. 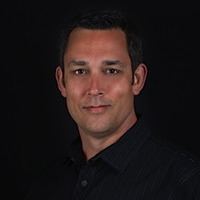 “This past February, Indie Connect ushered in a new world of music-industry education and networking with our ‘IC Virtual Music Conference and Expo’,” said Indie Connect CEO/founder Vinny Ribas. Ribas added that he expects more than 1,000 songwriters from around the world to register for the “IC Virtual Songwriter Showcase.” It will be similar to Indie Connect’s winter conference, with dozens of speakers, as well as live showcases, business presentations, and 24/7 networking. Attendees can network, check out the presentations, and visit the trade show for $47. Songwriters can showcase their music with a trade show booth and participate in song pitches for $147. Music-related businesses can showcase their products or services for $247. Editor’s Note: “Underground Nashville” is proud to periodically publish new book reviews by Roy E. Perry, the self-described “amateur philosopher” of Nolensville, Tennessee. Mr. Perry wrote book reviews for “The Tennessean” and “Nashville Banner” for more than thirty years. 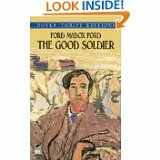 Graham Greene esteemed Ford Madox Ford’s The Good Soldier as “a masterpiece . . . one of the finest novels of [the 20th] century.” With all due respect to Mr. Greene, this novel is not a masterpiece. Reviewers who give The Good Soldier five stars are too generous. But those who give it only one star are too negatively critical. I give it three stars. The title character (“the good soldier”) is Captain Edward Ashburnham, who, in all respects but one, is a man of sterling character—charitable, courteous, and compassionate. On two occasions, he risked his own life to save others. His one fault is that he is a womanizer, a libertine who, in his infidelity to his wife Leonora, habitually seeks to “comfort” other women. The narrator, John Dowell, learns at a very late date that Ashburnham has had a longstanding affair with his wife Florence—a liaison of which he has been naively ignorant. Writing of “my absolute ignorance,” Dowell says, “I was such an ignorant fool . . . an imbecile singularly lacking in intelligence.” And we nod our heads in total agreement at his stupidity. The Good Soldier chronicles the conflicts caused by an alleged “sentimentality” (translation: sexual passion) and the sadistic tendency of married people to torment one another. Although the novel is not devoid of some beautiful passages, too much of the narrator’s pronouncements are unconvincing—effusions of an infantile, half-baked, pop psychology. One wonders how much of this novel is autobiographical. Is Ford Madox Ford’s final judgment concerning Ashburnham—basically that he was a good and noble character despite his serious flaws and numerous betrayals—an attempt by Ford to justify his own promiscuity? Was Ford himself a “good soldier”? You are currently browsing the Underground Nashville blog archives for July, 2013.